High Pressure Common Rail Anyone? Lee Jacobs, Global Product and Technical Product Director at Hartridge, recently released a publication in CAT magazine which highlights how high pressure common rail is currently at its peak volume within the aftermarket and the significant revenue opportunities that are available today for workshops and garages. He also explains how the in-depth technical knowledge previously required for diagnostics/repair has been incorporated into the Hartridge machine architecture coupled with an affordable price point opens this opportunity to more than just a specialist fuel systems workshop. Is it a diesel evolution or a revolution? Is the diesel workshop here to stay, just looking & behaving differently, or is it dethroned after telling people to eat cake? 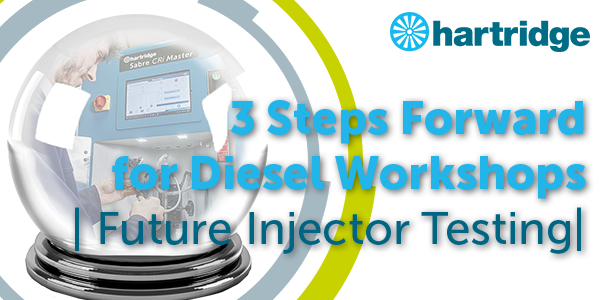 We look at 3 ways to prepare the diesel workshop for the evolving future ahead.